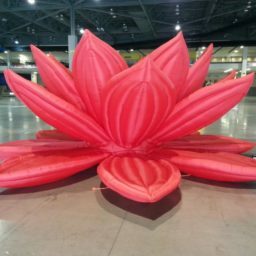 Add some drama to any space with this larger than life red lotus air sculpture. 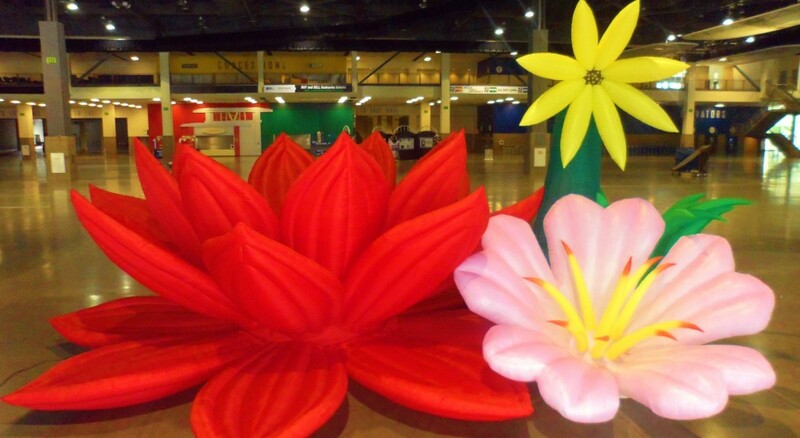 Also available in pink, these vibrant flowers are perfect for creating a floral oasis at any event. Whether it be creating a stunning backdrop for a photo op, suspended above a dancefloor, or building a next level beer garden area, there are endless options to incorporate these gorgeous pieces into an event. 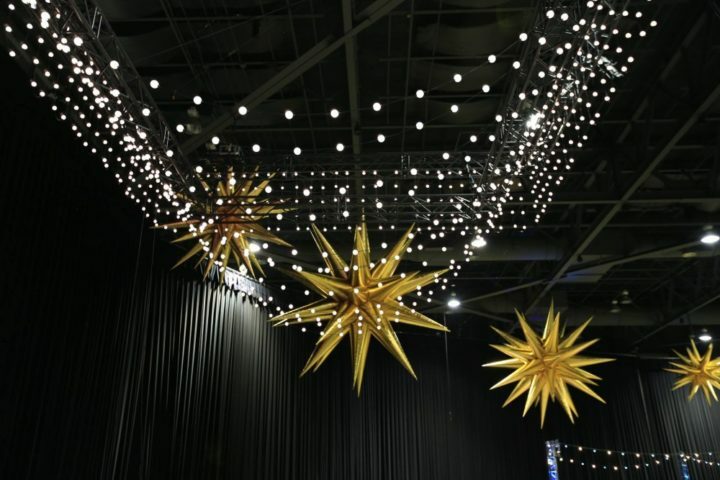 Transform any space and make a statement with these small gold star air sculptures. Transport guests to an oasis among the stars or create your very own galaxy by mixing and matching star air sculptures of all sizes and color. 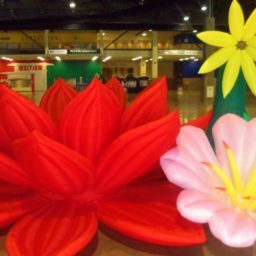 Transport guests to a lush floral oasis with this large than life purple, blue, and orange flower air sculpture. 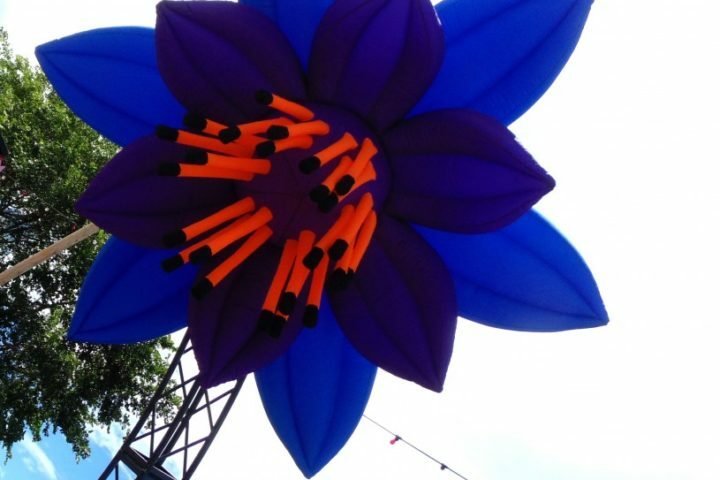 This purple, blue, and orange flower air sculpture is great on its own or in addition to any of the flower air sculptures in the collection.